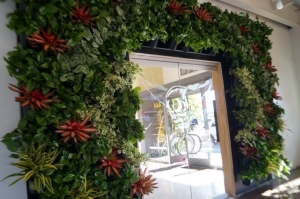 In creating beautiful plantscapes, Plantopia’s interior plant maintenance experts construct environments that bring a response from everyone who looks at them. Certain design principles, such as plantscaping balance, govern our gardening professional’s choices for creating graceful and robust plantscapes. As interiorscape experts, we rely upon these principles to produce an emotional bond between the plants and the person viewing them. And as a result, we aim to enhance their work or living space. 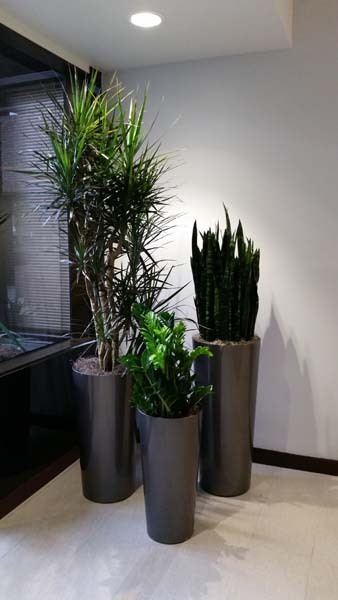 Plants add a sense of warmth and life to the cold feeling that steel and concrete modern architecture present. Greenery and gardenscapes expand limited spaces by creating visual interest and beauty. When planning that next design, include Plantopia’s experts in on your brainstorming so we can help you create that special interiorspace. 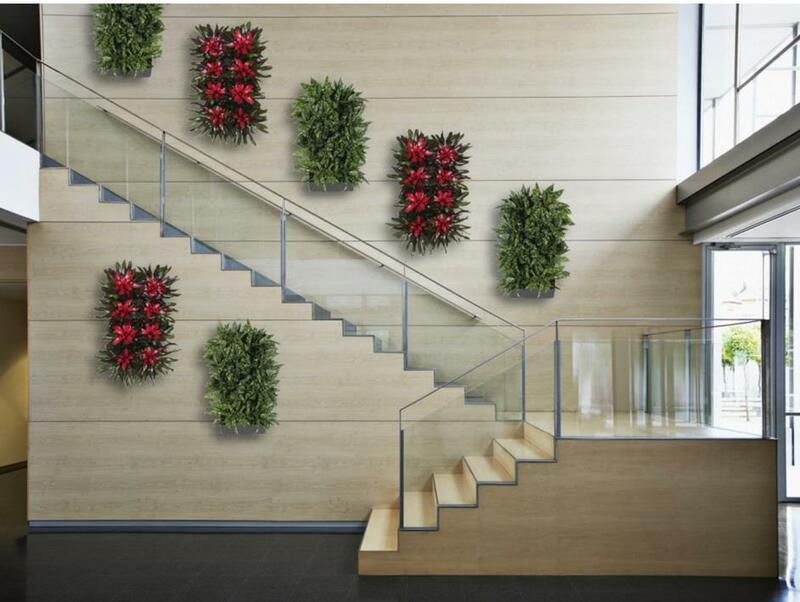 Plants often unify the architectural elements of a building, space or a room. 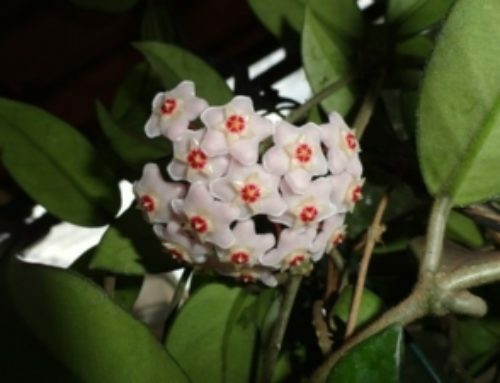 Plantopia experts consider the entire building or the room environment when deciding what kind of plants and containers to use and where they will be placed. Our interiorscape technicians and designers assess the structural design detail, the furnishings and the foot traffic patterns. Entrances are a person’s first impression of an environment. Our technicians use them to make a strong statement for those entering into a space. 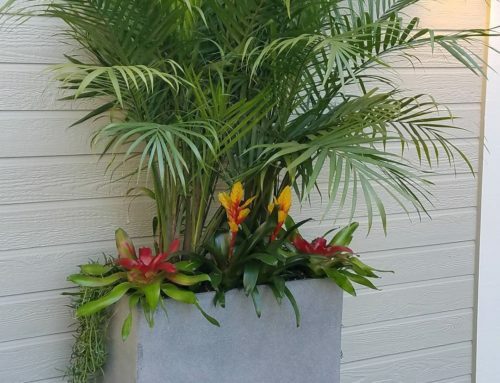 Strong features demand larger scale plants with correspondingly larger decorative pots that command attention with their height or their bold foliage. Plantopia technicians can help with the planning of all of this. Focal plants should always be larger scale and placed strategically with smaller plants leading the eye to the major pieces. Our designers think in thirds – positioning a large plant next to a plant that is one-third to two-thirds as big. Naturally, Plantopia technicians know of course that smaller scale areas need smaller scale plants with smaller sized containers. Good plantscaping always achieves a balance in an environment. This means installing the correct number and size of plants for the space. Plantopia interiorscape professionals know that too many plants can detract from the space, but just the right amount can achieve a partnership. We keep the number of plant varieties limited to four or five to achieve a repetitive rhythm throughout a space. Along these same lines, we keep the balance between the height of the pot and the height of the plant in mind. What looks best is a plant that is at least twice as tall as the pot. 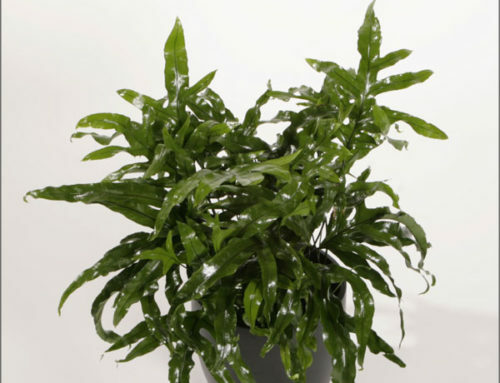 For example, when a tall urn shaped pot is used, we keep balance by installing a tall, wide-bodied plant, such as a Spathiphyllum. It’s all about perspective. Balance is important to the on-going design of a planting as well. Blending the plants and their pots with the style and colors of the building creates harmony. Plantopia interiorscapers know that certain container styles such as Asian urns go with a more natural or rustic building design. Other architectural styles with more chrome and glass do better with brushed chrome cylinders containers. We pay attention to these details, which is why our interior plant maintenance designers are the fastest growing team in the industry. The layering or multi-planting of containers provides opportunities to show off texture, variegation and depth. 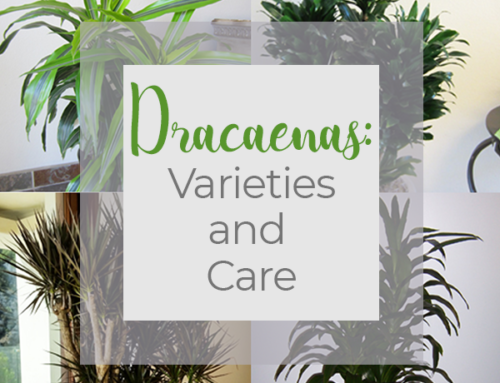 We suggest choosing plants that enhance our senses of touch, smell, and sight. By adding groundcover plants to your focal pieces, you can weave a texture of foliage and color interest. You now have the interest factor with structure and interest in your design that draws the eye to an area. The well-designed Plantopia interiorscapes create “moods” with light and dark, soft and strong shapes. 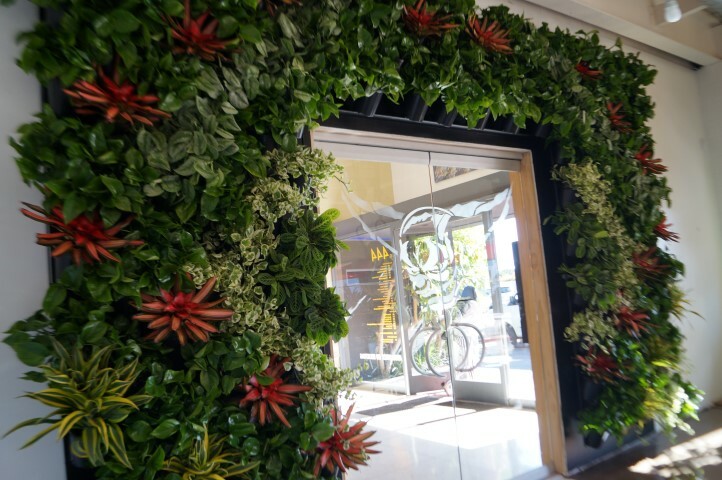 In the end, we create a plantscaping balance that leaves our clients with a smile! If you would like to speak to a Plantopia design or interiorscape maintenance professional, call today!